B U B B L E G A R M: Hair Update! 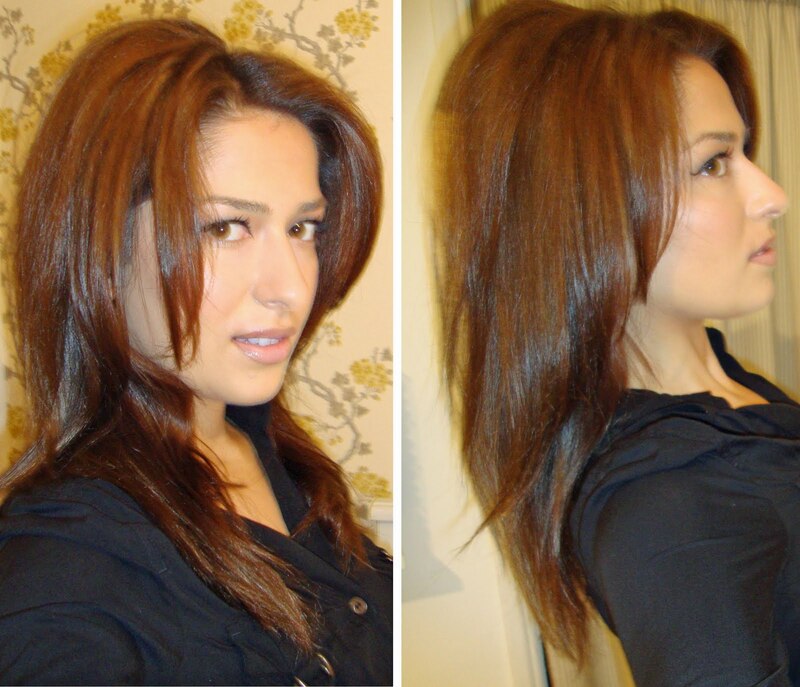 This post is mainly to update you about the Brazilian Blowout (keratin treatment) I had done exactly one month ago. Read more about that HERE. Well the big question you are all dying to know is do I still think it's worth it a month on? The answer is no. Why? Because I don't think it has made that much difference, the first week was amazing, I never did anything to my hair, I air dried and then walked out the door. But now, the frizziness has been coming back. I also hate that my hair dried SOOO straight, it looked lifeless and boring. Yes it has made my hair a tiny bit more manageable but I get that when I use a serum. I will not be forking out my £££'s to repeat the treatment. It is not a solution for damaged hair, it does make it look healthier and shinier, but there's no point in making it look healthy when it actually isn't. For reference I have been using a sulphate free shampoo, the one I purchased from the salon and washing my hair about 3x a week. This is just my personal experience, it has made my hair more manageable but I don't think it's made such a drastic difference for me to want it in my life forever. I think certain hair types will benefit more than others, for me it just hasn't been what I hoped it would be. I am really loving being brunette again, I did love the highlights a LOT but, this is just a bit more rich and chocolaty and I feel comfortable with it. With lighter hair, I felt like I needed more makeup. Here's what my hair looks like from the back, I have been trimming it every 5 weeks in order to keep it healthy. As my hair has been so lifeless, I purchased this Denman brush from Boots, it has a slight dip in the middle to fit the shape of your head better when blowdrying so that you get more volume. I have to say it works a treat. Thanks for the honest review :) Your hair looks gorgeous as always! It's good to hear an honest review on the keratin treatment. So many people swear by it but sometimes you do wonder if they're being paid to "love" it so much, so good to read your review. And your hair looks great, it looks really healthy and shiny. I love how you cut your hair yourself :) It looks gorgeous! Too bad it didnt work for you. For me it was awesome, but i have curly hair. My hair was really frizzy, dry and unmanageble. With the treatment it looks so much better. your hair looks AMAZING!! seriously gorgeous!! love it! You did a great job on the cut, it looks amazing, perfect length! It looks gorgeous! The color and cut look perfect on u. U did a fab job. all that work & money for 1 week of benefits? yeah, doesn't seem worth it to me. but your hair looks fab in the photos! Your hair looks beautiful! I love the colour, cut everything! what serum would you recommend to reduce frizz? I have to say i PAY every couple of months for THAT hair cut! How did you cut it yourself? You've got to do a post on it, your hair looks gorgeous!! Thank you very much for the review. I found it extremely helpful as I was actually planning to get the treatment done this summer. Wow your hair looks so nice, I love the layers! I can't believe you cut your own hair, that's amazing. If it gives you volume - I want that brush! How does it work to do that though exactly....? Your hair is so shiny and volumised! I prefer being a brunette too, i feel the blonde washes me out. I was always curious about the Keratin treatment but after your review, I might reconsider! I think your hair (+colour) look great! but the bottom could be fuller... Changing hair colour & style often is refreshing, I wish I was as consistent as you!!! I grew up on a tropical island, where the weather (& nature) makes u beautiful effortlessly, so i got used to using nothing at all (not even moisturizing cream! yes ladies). But now in Europe its a very different bargain unfortunatly! I had a Brazilian blow dry about a month ago too and would mostly agree with your review, HOWEVER I haven't been using the correct shampoo so for me, it could be down to that fact. my hair is highlighted blonde and is fairly straight anyway but although its quite soft it never hung prperly and got frzzy or dry looking so the blow dry gave me some control over it, I loved the way my hair fell back into place after wearing hats or with minimum styling. I think I will try it again but using the correct shampoo this time. It's good to know that it's no a miracle as people claim. I love your hair right now, it's such a gorgeous colour. I thought I was the only one who thought I needed more make up with lighter hair...how random is that?! Lol! It's so bad that the keratin treatment didnt last, they're so expensive as well. Your hair looks great! You did a wonderful job cutting it yourself. I agree you hair looks kind of lifeless and thinner. I love the color though and how shiny it looks. I have a thing for thick hair and find that this treatment thin it out out a bit too much. Hi Muhsine...I agree with nono that the brazilian is a better option for girls with super curly hair that's prone to frizz...according to my sis (she has corkscrew curls in Indian hair) it made her hair softer and more manageable. Personally, I feel no treatment damaged hair works a treat like a trim and some deep conditioning hot oil. Your haircut looks great! Please let us know how you did it... what tools you used!!!! I had the treatment done in September and my hair is still smooth & frizz free and has changed my life quite a lot as I don't need to straighten my hair. It's also very smooth & sleek even in humid or damp condition, which could never be achieved with serum as I have thick hair! Thanks for all the comments girls, the next time I cut my own hair I will try to do a step by step guide in photos. I may also do a post including my favourite haircare products. The serum that I swear by is the Avon one which I did a review on a while ago. With regards to the brush it has a slight dip which makes it fit the shape of your head better enabling it to get right at the root giving you a bit more volume than a normal brush would. @Yogadiva I haven’t tried the instyler but will check it out, sounds good. Your hair looks beautiful! I have also been trimming my own hair lately. I think it should be done every two weeks and who has time to go to a salon that often? I think a professional cut should be done 1-2 times a year.